Martin Gould collapsed from 5-1 up to lose an incredible UK Championship quarter-final to David Grace in a tense final frame. 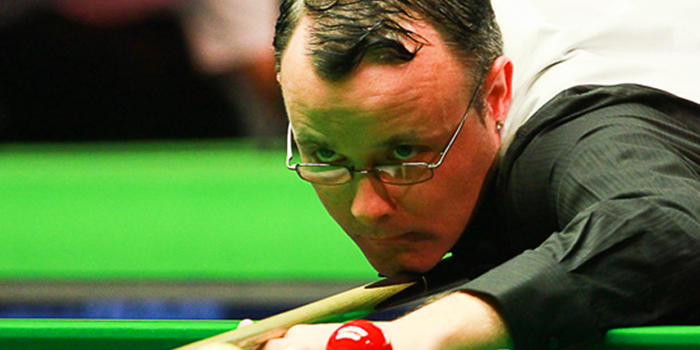 The world number 24 from Pinner made a strong start against the unheralded Grace, ranked 81. He rattled in a 125 in the third frame on his way to taking a 3-1 lead at the interval, and then bettered it with a 127 to go 5-1 up. Gould was twice just a couple of pots from securing the win. First, in frame seven, he broke down as he closed in on victory, and let Grace in to pinch it, and then in the next one he went in off the brown as he tried to clear up. Grace showed greater composure and more solid potting to pull it back to 5-5 and looked to have seized the initiative in the decider. Then just as he saw the winning post, he missed what was effectively frame ball and ended up conceding 28 points in fouls as he failed to escape a couple of snookers. When he missed by millimetres one final time, referee Terry Camilleri refused to call another miss – but having narrowed the gap, Gould could not go on and clinch it, with Grace celebrating a first-ever major semi-final. Afterwards, Gould said: “I played really well to go 5-1, missed a couple of opportunities to win 6-1 [then] the in-off to go 6-2, and after that it seemed it wasn’t going to go my way.